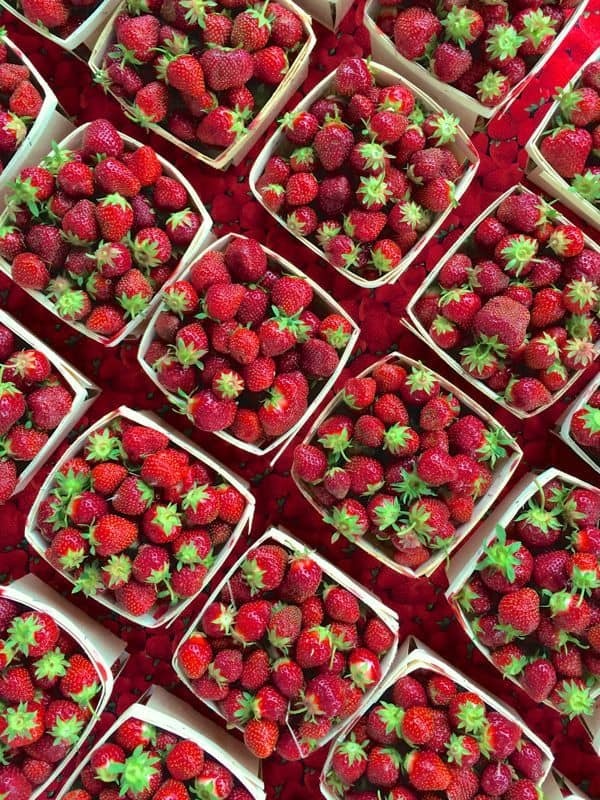 Strawberry Season: How sweet it is! 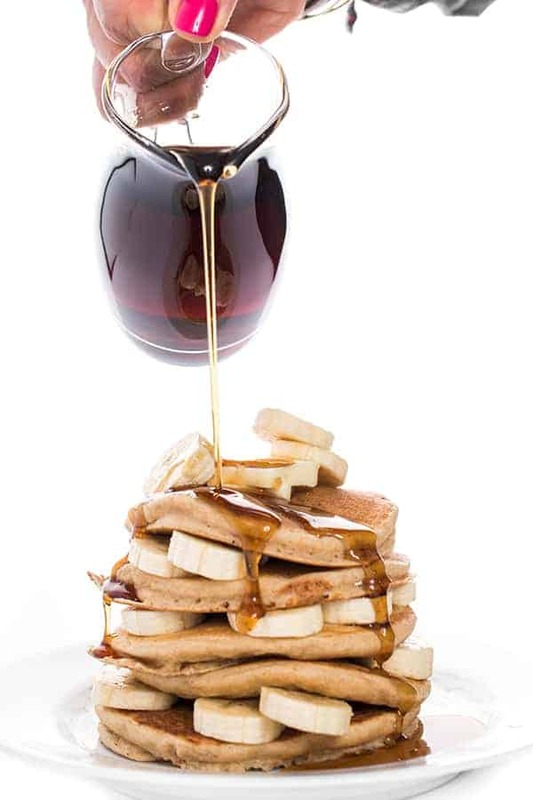 One of my favorite ways to eat berries is to make a quick and easy warm syrup to pour over pancakes, waffles or french toast. Simply throw some berries in a pot with a little water and sugar, bring to a boil and let simmer for 10 minutes until a thick homemade fruit syrup forms. In the Winter I will do this with frozen berries (French Toast with Warm Berry Compote) but in the Summer it is the perfect way to take advantage of those delicious local berries. 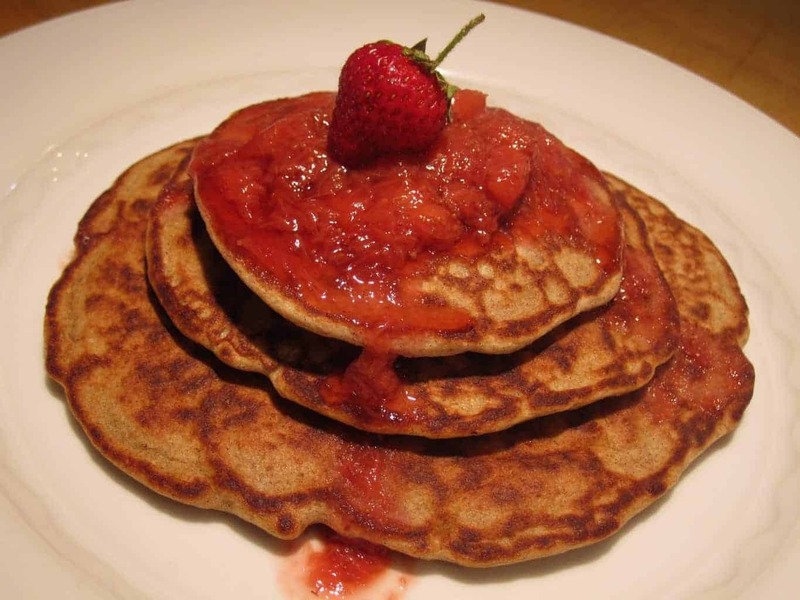 These Banana Buckwheat pancakes topped with a strawberry syrup is a hearty whole grain breakfast pancakes packed with protein, fiber and nutrients. In a small sauce pan, bring strawberries, sugar and 1/3 c water to a boil and reduce to simmer. Let simmer for 10 minutes or until thick syrup forms. 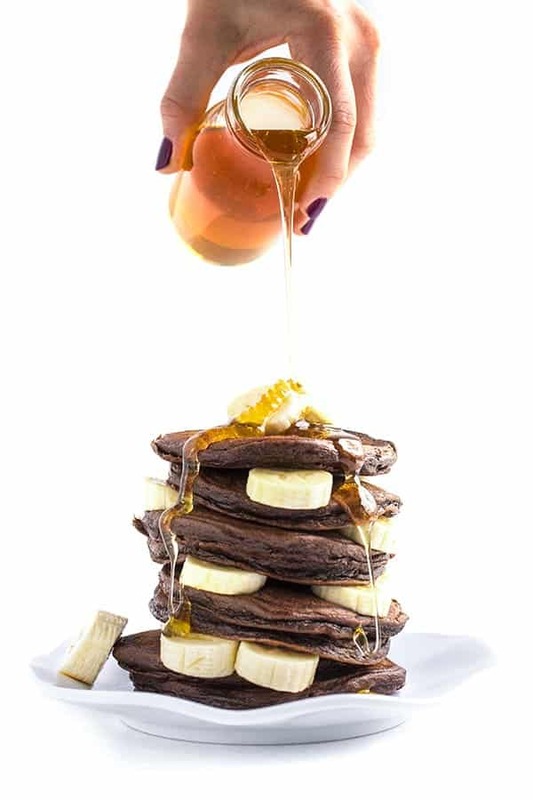 Meanwhile, place buckwheat pancake mix in a bowl with smashed banana, egg, oil and cinnamon; mix well. 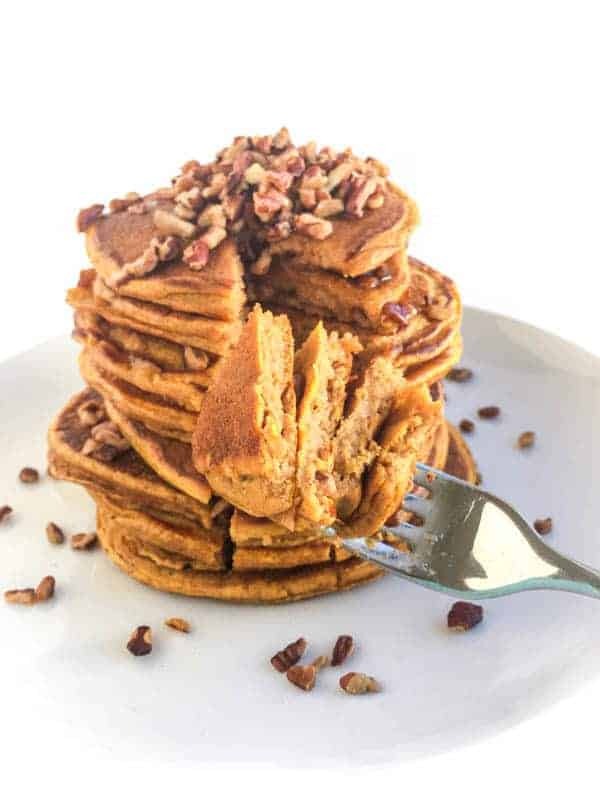 Pre-heat griddle or frying pan to medium and spray with non-stick spray. Pour batter into pan and cook 2-3 minutes per side or until bubbles form. 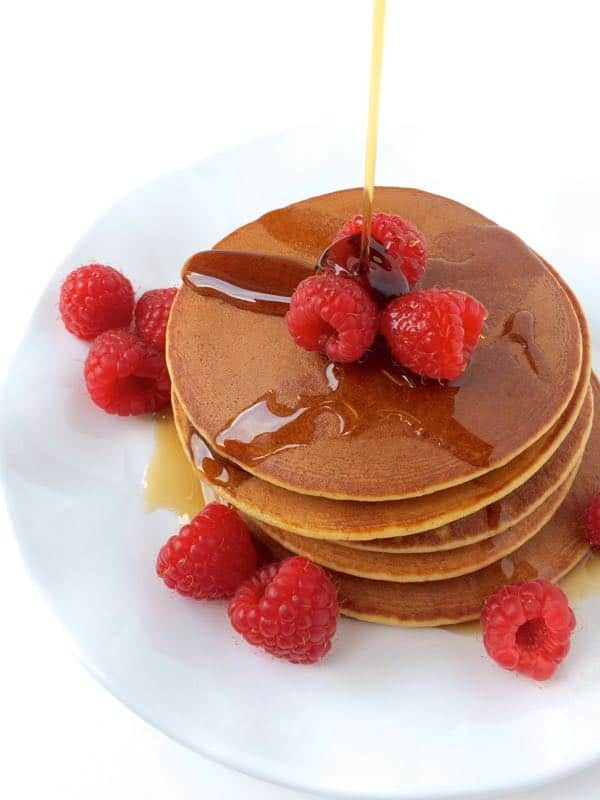 Serve pancakes with strawberry syrup. Excellent source of Vitamin C, good source of Iron.